Over looking the bottom of York Street is an ancient octagonal building known as the Unitarian Church. 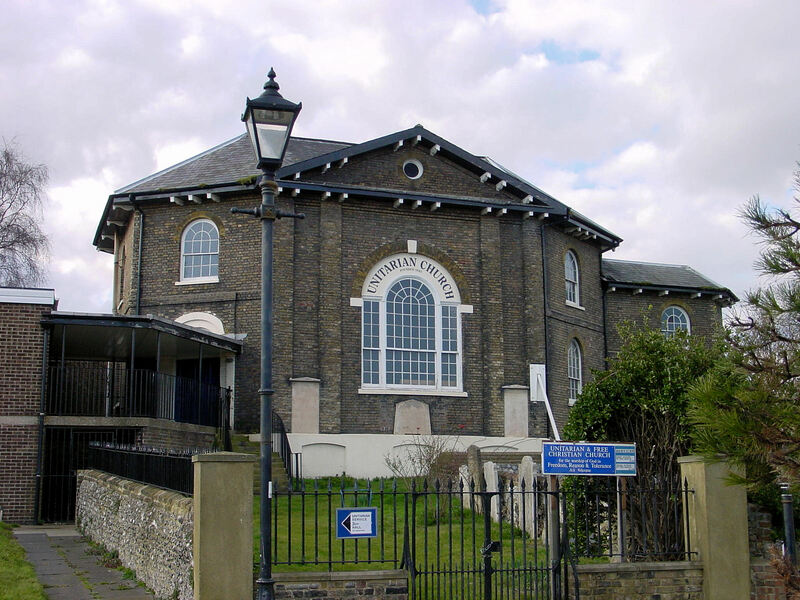 In fact, it opened as a Baptist Chapel on Tuesday 2 May 1820, amidst much celebration. These days, besides being an active place of worship and providing spiritual support, it is full of historic mementoes. The latter include papers appertaining to Samuel Taverner, one of the Chapel and Dover’s most influential figures. 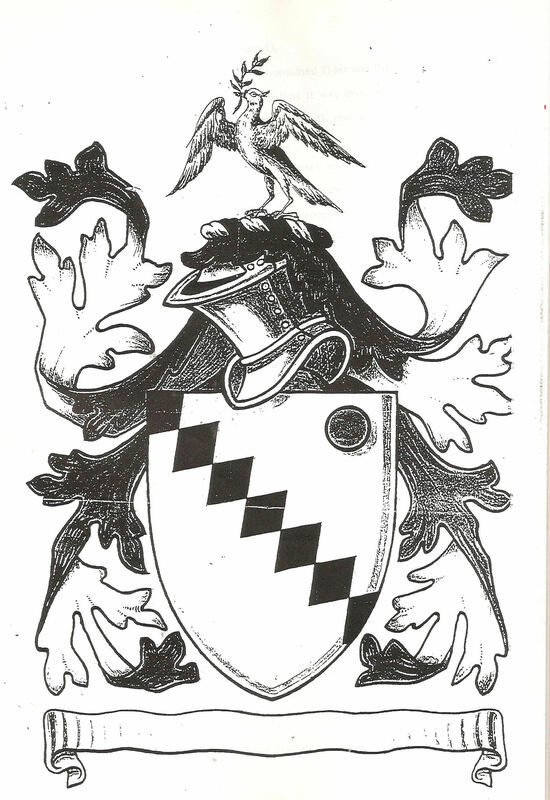 Samuel Taverner was baptised at Romford in Essex, on 21 July 1621, the first child of Samuel Taverner senior and Elizabeth Renolde. His great-grandfather was Roger Taverner, Keeper of King Henry VIII’s forests south of the River Trent. Little is known of Samuel until 1640, when he joined the Parliamentarian side in the Civil War. At the age of 22, he was promoted to Captain of a troop in Cromwell’s cavalry and it was in this capacity that he came to Kent. Here he met his first wife, Anna Gibbes of Worth, marrying on 13 November 1849 at Deal. They had 13 children, most of whom died at birth, only three, David, Thomas and Priscilla, survived. 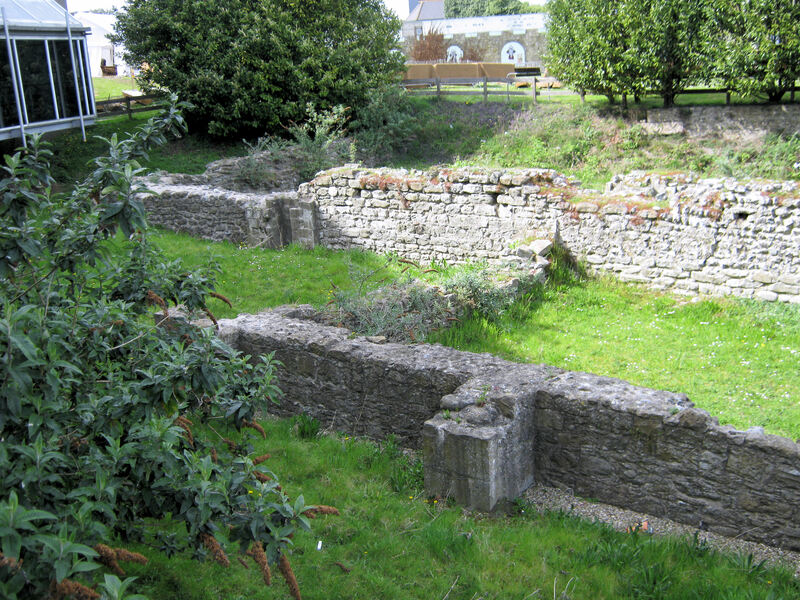 Throughout the Civil War, the Cromwellian army, in Dover, had stabled their horses on the ruins of St Martin’s Churchyard. Nearby, in Market Lane, (where the Discovery Centre is today). It was here that Samuel set up business in 1649. Probably as a victualler to serve the troops stationed in the town. Ten years before, under the leadership of Richard Hobbs, Edward Preston and John Feetness, a local group of General Baptists formed. They dissented from the mainstream Anglican Church over the baptism of infants. The argued that the christening of small children was little more than ‘religion by proxy’. Instead, they argued that only consenting adult believers should be baptised and that this was to be by the total immersion in water not just ‘sprinkling’. 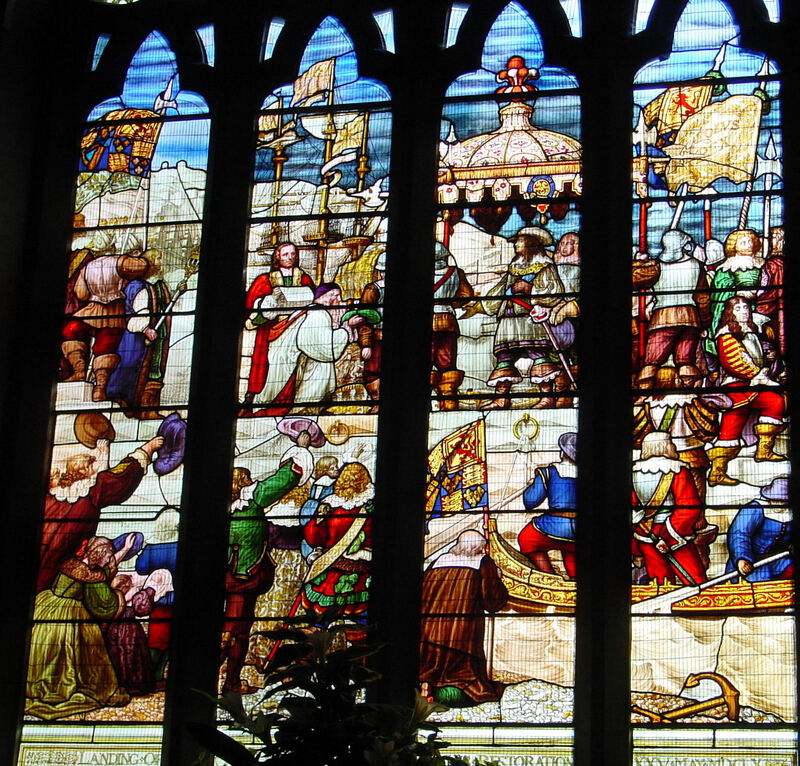 At the time, Samuel’s religious convictions concurred with Cromwell‘s form of Puritanism, which had a marked intolerance towards other Christian groups. This included Baptists, along with Anglicans, while Roman Catholics were outlawed altogether. Thus, although Edward Prescott was a Baptist, as he was also a senior member of Dover’s council and Mayor in 1650 and 1653, he was obliged to worship in secret. Samuel, in his role as Governor of Deal Castle (where a plaque, presented by the Deal Society in 1982, can be seen), was obliged to have words with Prescott, in order to try and persuade him to conform. Instead, Prescott persuaded Taverner to attend a Baptist meeting. At first, Samuel was reluctant to go but eventually curiosity got the better of him. One meeting was held in a field not far from the Castle and Samuel hid in a thicket to watch. He was impressed by John Prescott’s sermon. Charles II landing in Dover 25 May 1660. Window in the Stone Hall. On 25 May 1660, Charles II was welcomed back to England on Dover beach and the monarchy was restored. With the Restoration, the Established Church was Anglican and Acts were passed to enforce conformity. Fines were imposed whereby one third went to the King and the remainder was divided between the parish and the informer. In 1661, the Dover General Baptists were driven from their meetinghouse and the following year seven Jurats and twenty-three Common Councilmen were ejected for being dissenters. At the time Samuel was still the Governor of Deal Castle but was giving considerable thoughts to his religious inclinations. On 13 April 1663 he publicly made his feelings known when he asked Edward Prescott to baptised him by immersion. This was carried out in the Delf stream at Sandwich. Samuel managed to hold on to his post at Deal Castle for another two years and then he resigned his commission. He moved back to Dover and took up preaching with such enthusiasm that many joined the Baptists. On 14 June 1666, Samuel married his second wife Susanna Harrisson and although they never had any children, Susannah cared for Samuel’s family as well as helping him with his ministry. By 1667, there were 242 local members and meetings were held in Samuel’s home in Market Lane. On 9 November 1669, Samuel purchased his Freemanship, which allowed him to conduct and expand his business in Market Lane. 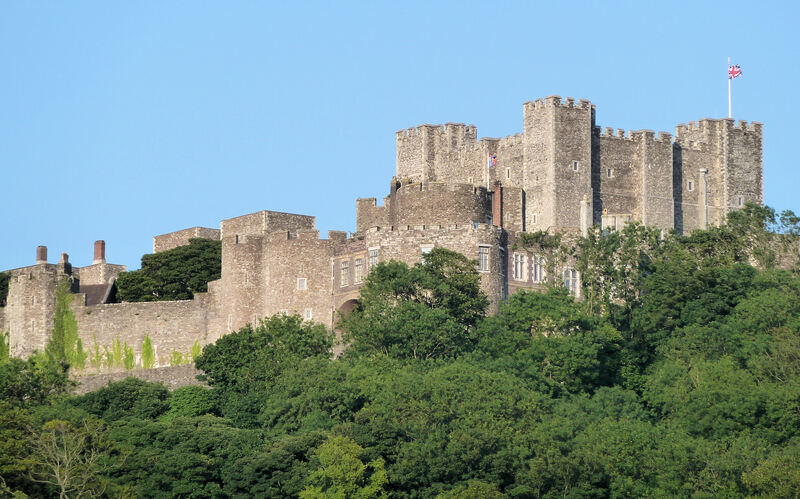 However, troubles were afoot, James, Duke of York the King’s brother and Lord Warden, ordered that, ‘The Magistrates of Dover to cause all meeting houses to be shut, and pulpit and seats in the house of the aforesaid Samuel Taverner.’ Samuel ignored the edict, was arrested and incarcerated in Dover Castle for a short time. Dissenting preachers were also fined £40 and the owner of a meetinghouse £20 plus 10shillings (50p) for each ‘hearer’ (those who attended). Because one third went to informants there was a strong incentive to spy and inform. On 21 January 1670 a letter was sent to Charles II saying that there were, ‘divers conventicles and unlawful meetings at Dover and that the magistrates were remiss in failing to enforce laws against them.’ Samuel along with Richard Matson – a close relative of the Mayor at the time, Simon Yorke – grandfather of Philip Yorke who became the Lord Chancellor of England; Edward Dell, Nathaniel Barry, and Anthony Street were summoned before the Privy Council in London. There they were all reprimanded. The following year Charles II ordered, ‘the shutting up of all houses in the town of Dover as should be made use of for meetings of persons disaffected towards the Government under the pretence of religious worship…’ Samuel’s home was entered, damaged and barred within a week. On the following Sunday, the local Baptists broke the locks, entered and Samuel conducted a service. Persecution was a sad fact of life but Samuel carried on preaching and also his business. Indeed, he was given the contract to supply ‘necessaries’ for the Castle guard and Dover Corporation with a barrel of gunpowder! By the end of that decade, Samuel was issuing his own trade tokens bearing his Arms and supplying goods to Walmer Castle. Samuel was ordained Elder of the Baptist Church in 1681 but within a year, his premises were raided; goods and furnishings to the value of £91 6s. 11d (£91.35p) were seized. It turned out that the warrant was false – the work of an Edmond Hardress, James Marsh and Thomas Marsh. Samuel successfully sought redress in court. James II ascended the throne on 6 February 1685 and wanting the country to return to the Roman Catholic faith the persecution against dissenters increased. In order to try to protect their flock, on 20 September 1686 Samuel along with Richard Cannon (who held land that later became Cannon Street), William Mellow, John Simpson, Richard Marsh, (a relative of Samuel’s earlier persecutors), Cornelius Garrison, Henry Hobbs, Thomas Neale, Thomas Stokes and Henry Spillett, signed a document. This promised to refund any believer whose goods were confiscated because of meetings held on their premises. However, persecution became so intolerable that Samuel took his family to London staying at the Dog and Bull Inn in Wapping Wall Street. While there, he continued preaching, composing hymns and consolatory epistles to encourage his flock. Persecution finally ended in 1688 with the Glorious Revolution and the accession of the tolerant William of Orange. The Taverner family returned to Dover and on 19 April 1692, permission was given for the south end of his house, in Market Lane, to be used for public worship. On 4 August, Samuel died and was buried in his garden. Samuel’s wealth at death was £683. 6s. 6d, from which he hoped to ensure that his house would be used for services and garden a cemetery for the local Baptist Community. The latter was known as ‘Taverners Garden,’ and was approximately, where Durham Hill meets the present day York Street. Close by, but separate was St Martin’s cemetery. 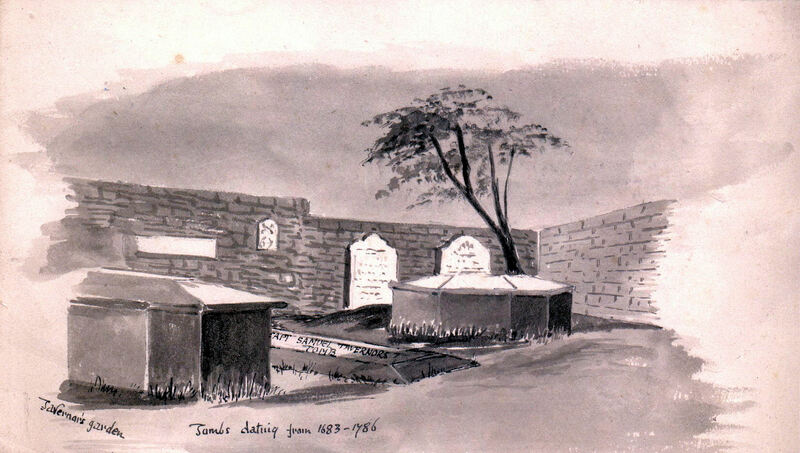 Tavenor’s Lane – one of the many variations in spelling – connected the cemeteries with Market Square. The Garden along with St Martin’s graveyard was demolished in 1970 to make way for the York Street by-pass but the contents of all the graves were reburied, following a full service, in Charlton cemetery. This entry was posted in People, Religion & Churches, Unitarian Church & Samuel Taverner - The Dissident Preacher who was imprisoned in the Castle. Bookmark the permalink.